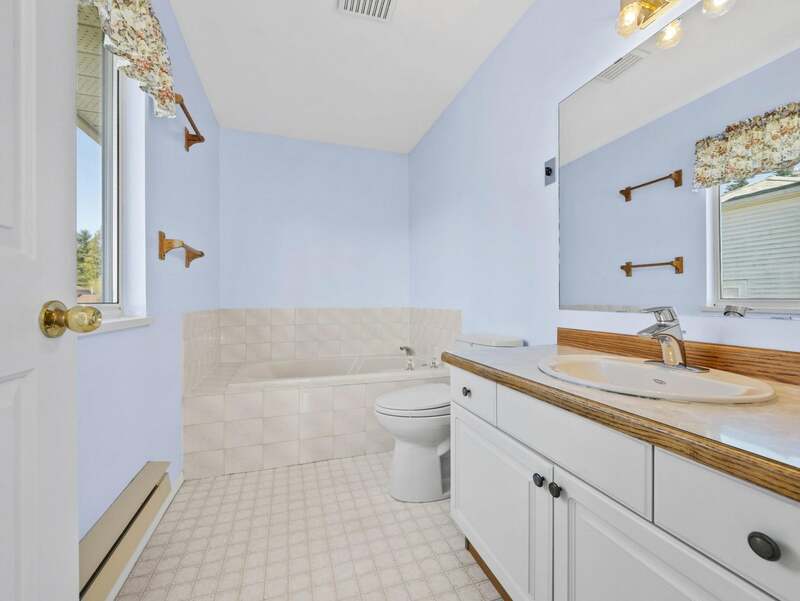 This 1,830 square foot, three-bedroom, three-bathroom family home boasts spectacular ocean and island views from both levels. 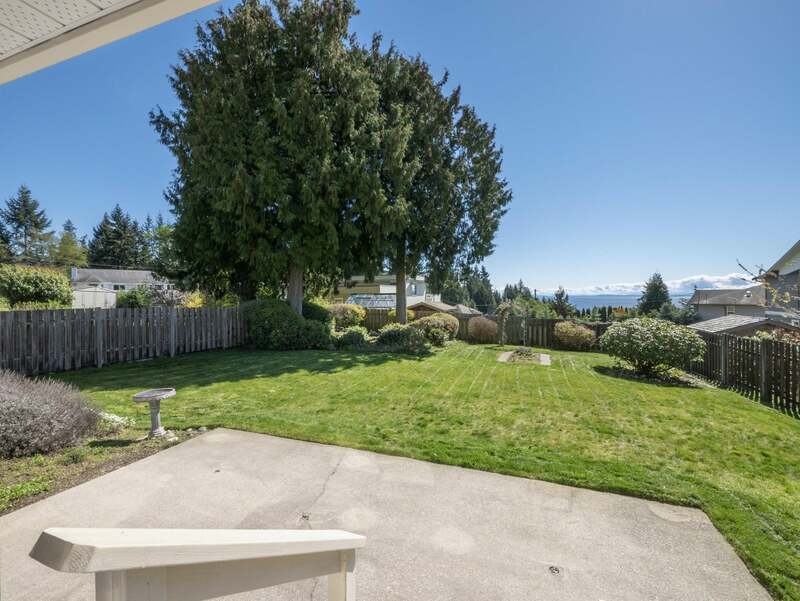 The big backyard has been lovingly landscaped and is fully fenced. 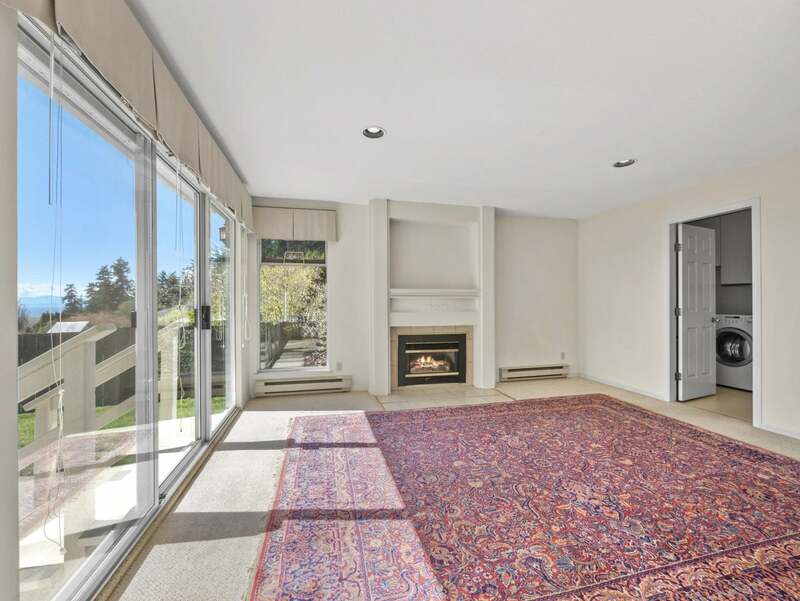 This is an excellent space for kids or pets or just for hanging out in the sun! 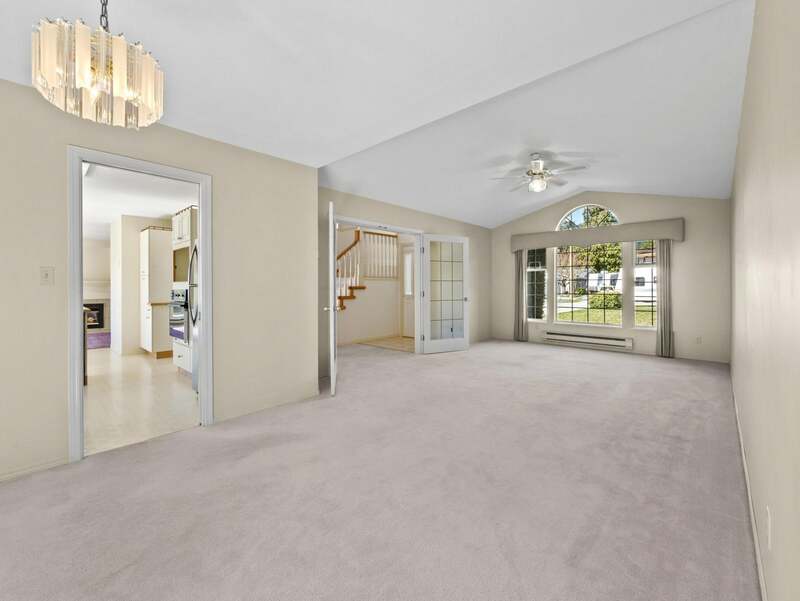 Inside, you find a spacious home with marvelous design features that would shine with some minor updating. A ten-minute walk from home is a public yet widely unknown trail that leads down to Ocean Beach Esplanade. Days at the ocean are just a short walk from home! 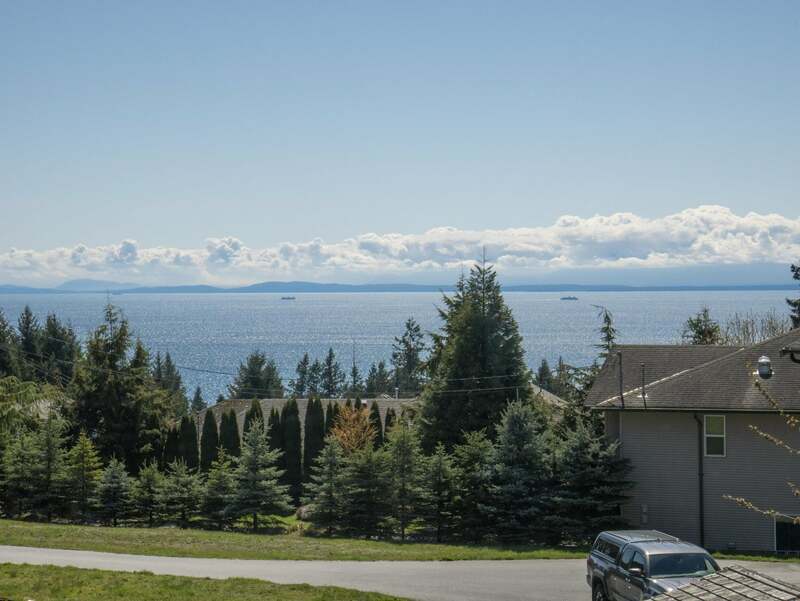 Welcome to 1561 Island View Drive in Gibsons, BC. Walking up the long driveway and past the attached two-car garage, we pass through the front door and find ourselves in a grand tiled foyer. 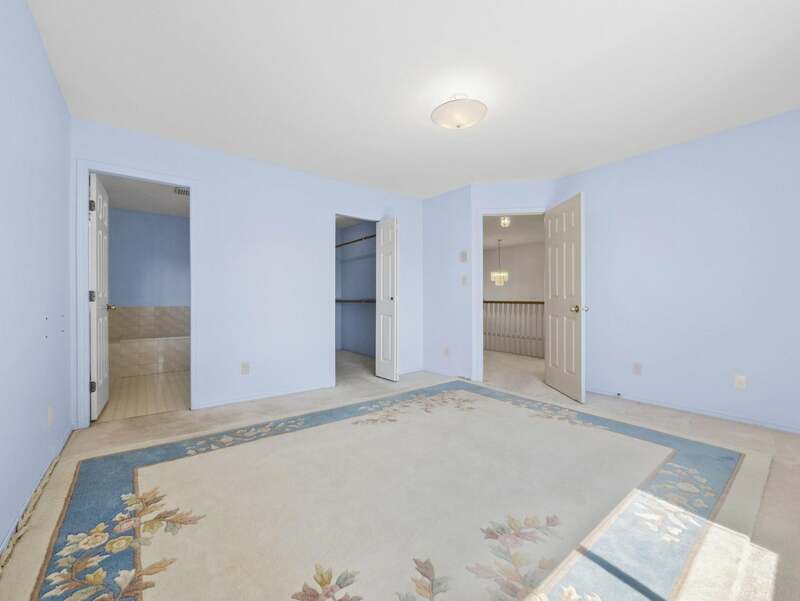 There’s a short hallway which is home to the front hall closet as well as this level’s powder room. 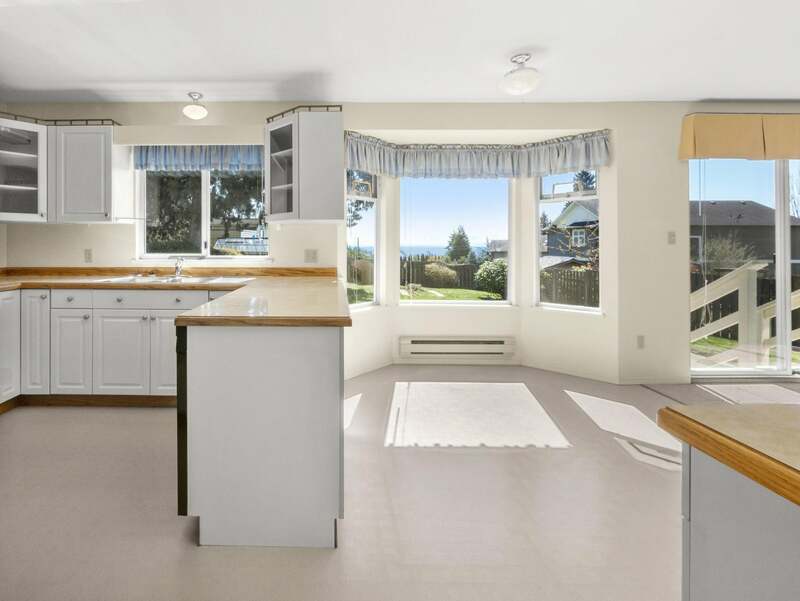 Arriving in the open concept kitchen and living room, we see a bay window that gives us our first look at that incredible ocean view! 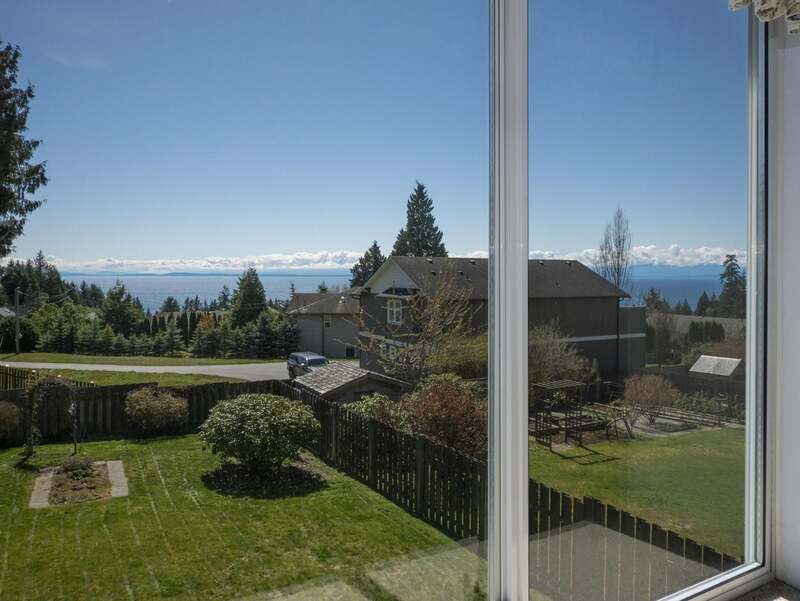 A sliding glass door in the living room provides access to the backyard and gives us another look at Georgia Strait. Turning back into the living room, we see the fireplace as well as the laundry room which also leads to the attached garage. 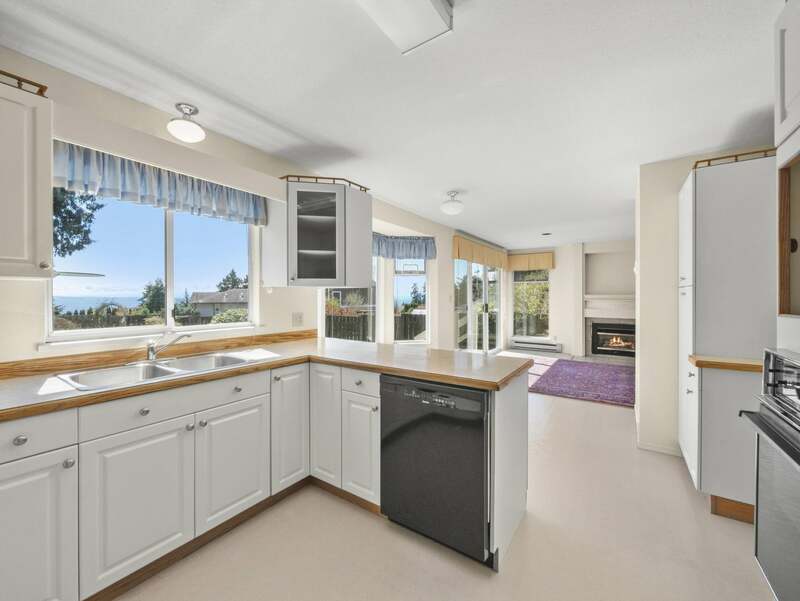 Walking back through the kitchen, we discovered a well thought out space with four appliances including a dishwasher, a cooktop, and a wall oven. The dining and sitting rooms are one large combined space. 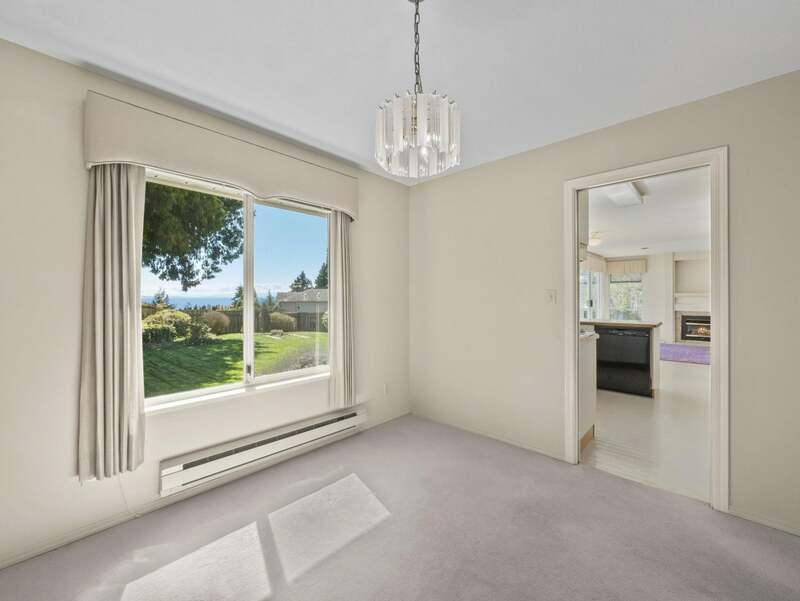 There’s an ocean view from the dining room and the sitting room has a view of Mount Elphinstone. 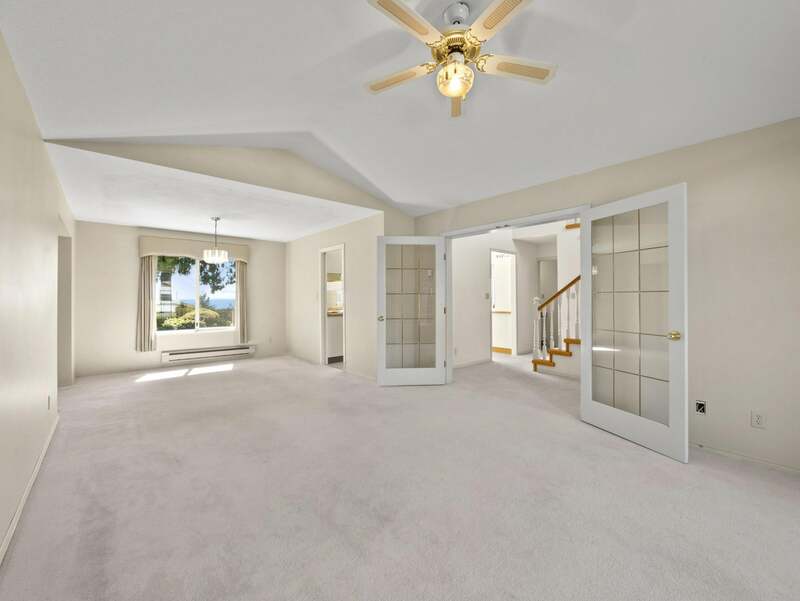 French doors bring us back to the front entrance and a flight of stairs leads up to the second level. 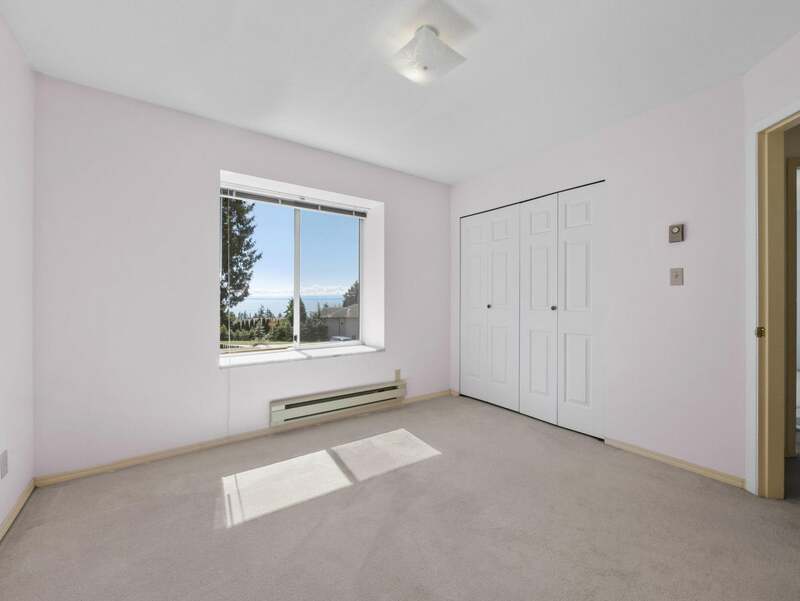 Once upstairs, we visit the first of three bedrooms. 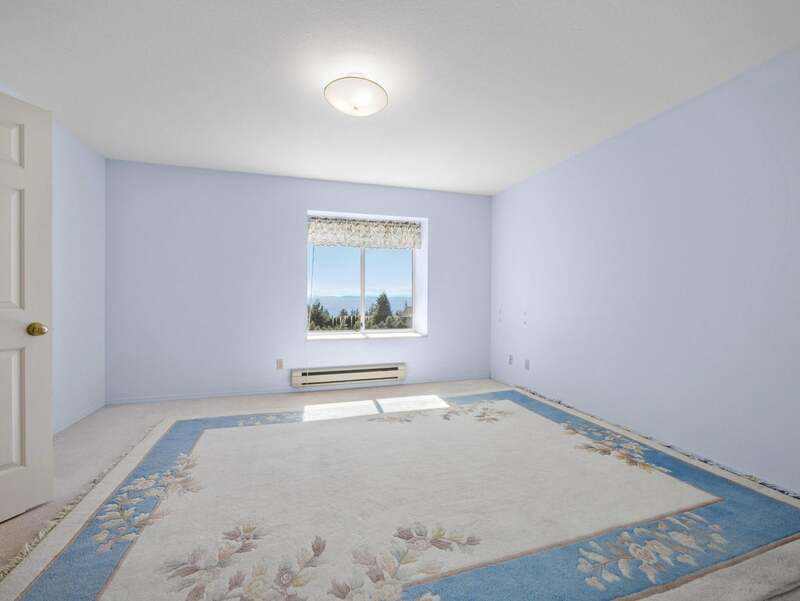 Bedroom number one has an ocean view, carpeted floors, and its own closet. 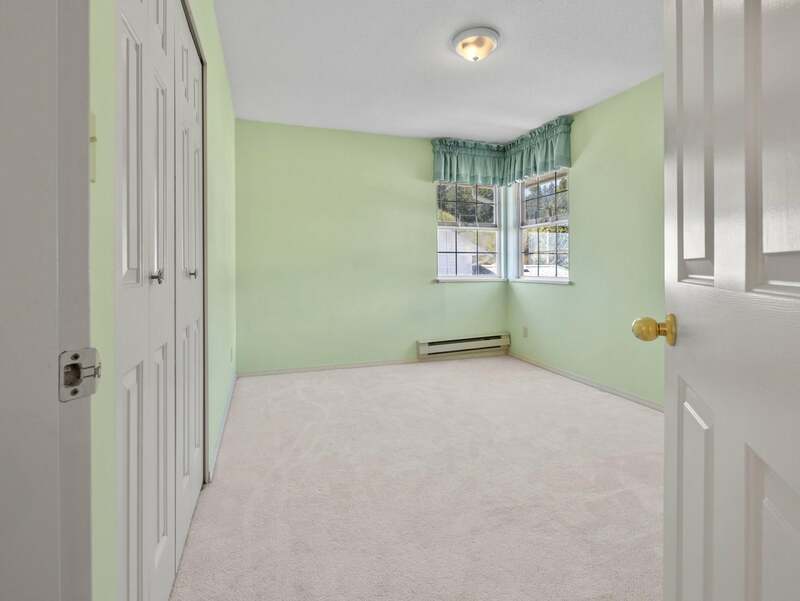 Right next door is the master bedroom. 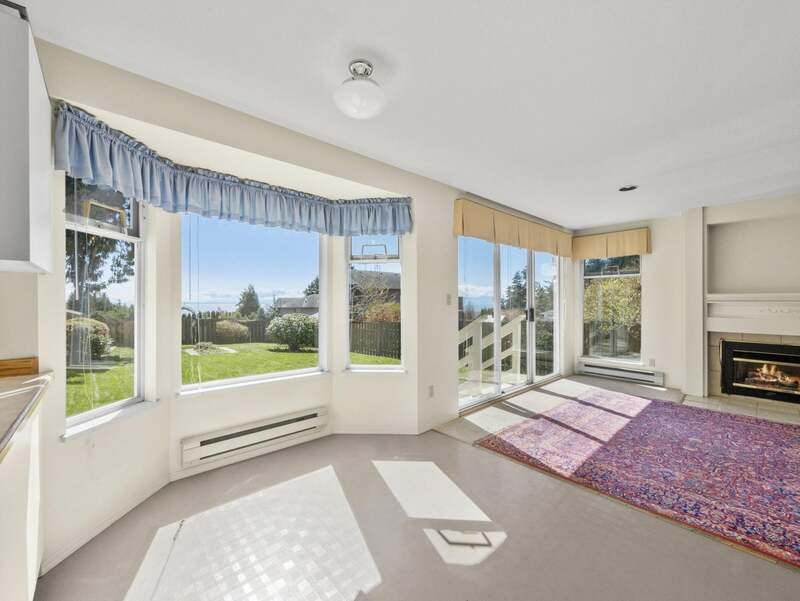 This is a large space that also has a view of the ocean. 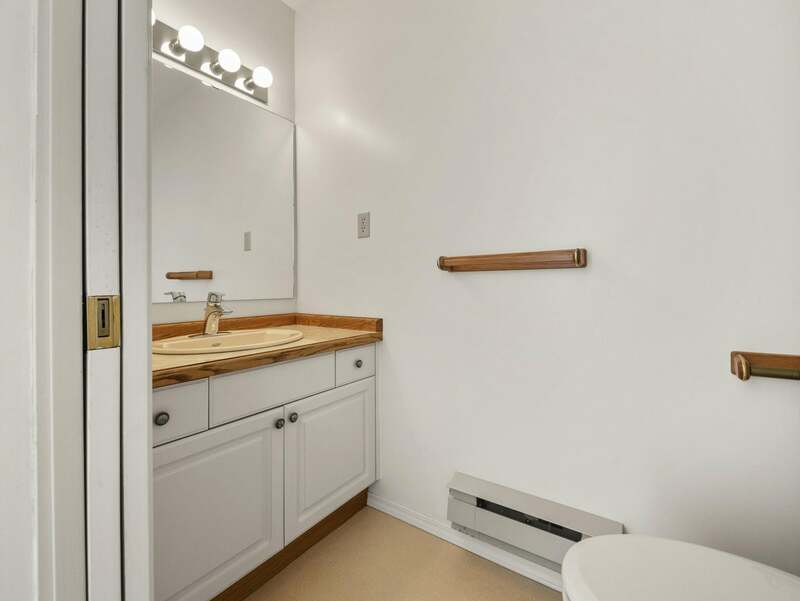 To the right is a walk-in closet and on the left is the ensuite washroom with a deep soaker tub. We walk down the hallway towards bathroom number three. 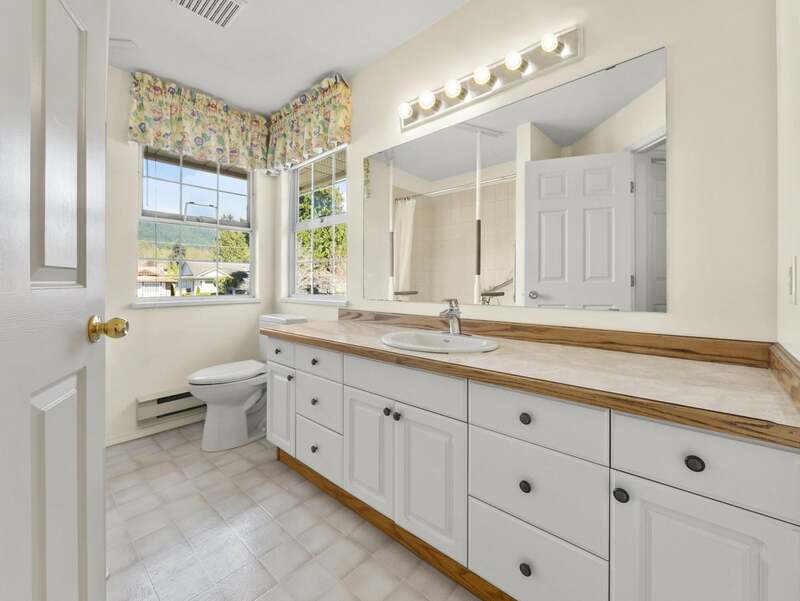 This four-piece has a big vanity and a view of Mount Elphinstone. Our final stop inside is bedroom number three. 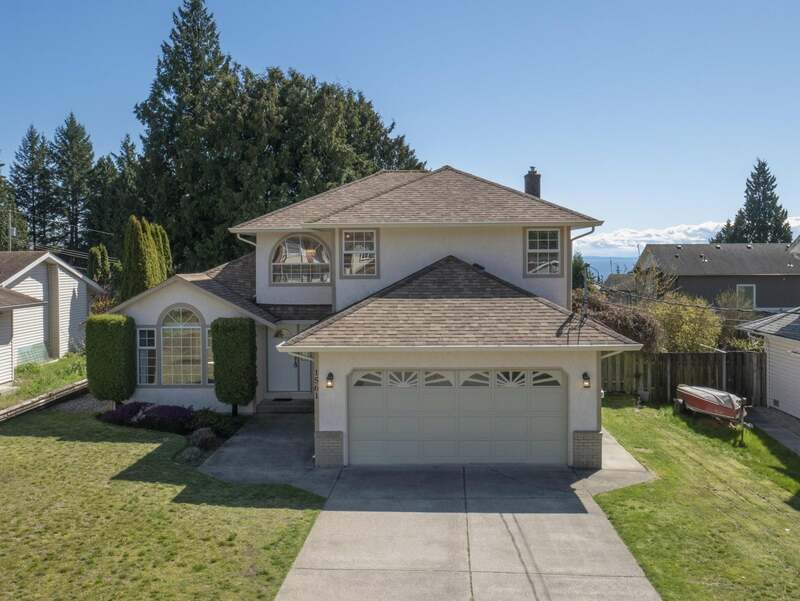 It too has a view of Mount Elphinstone. 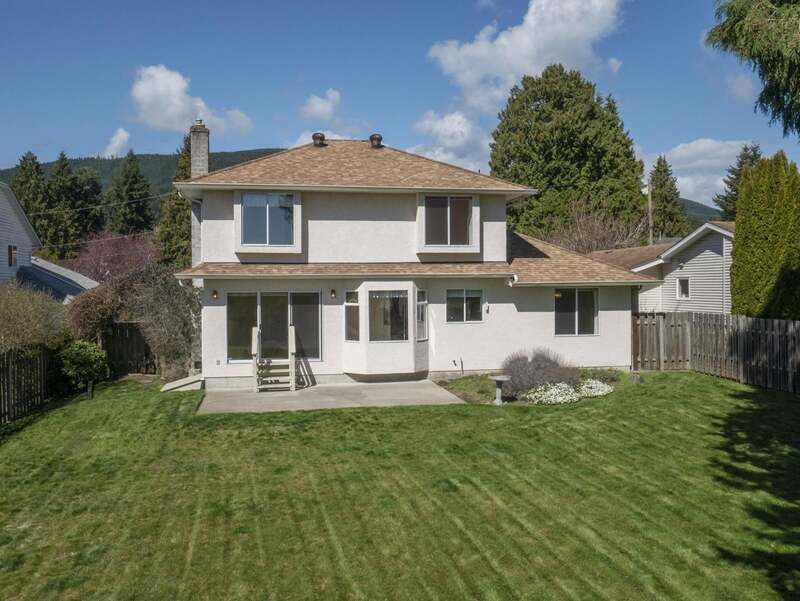 At the rear of the house, we find a big backyard with mature trees. The yard has been lovingly cared for and is ideal for gardening, entertaining, or simply relaxing. 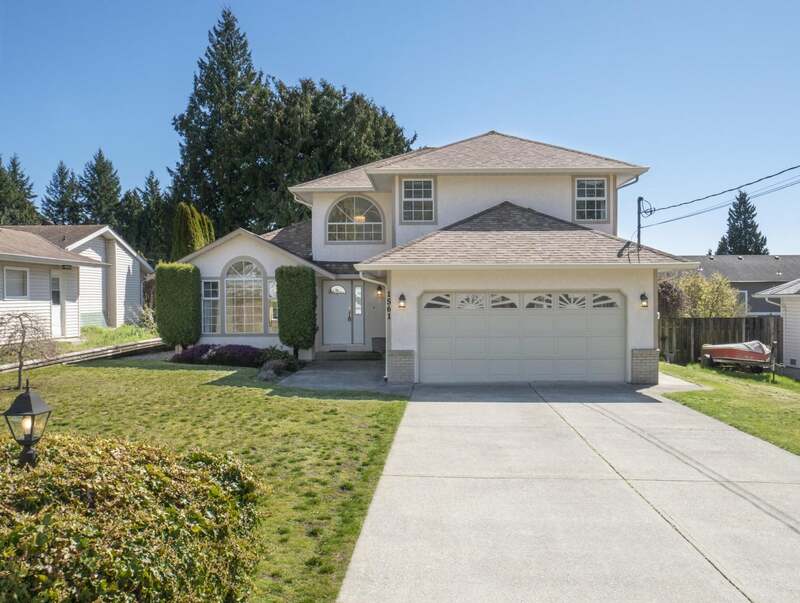 1561 Island View Drive is a fantastic house in a desirable neighbourhood. 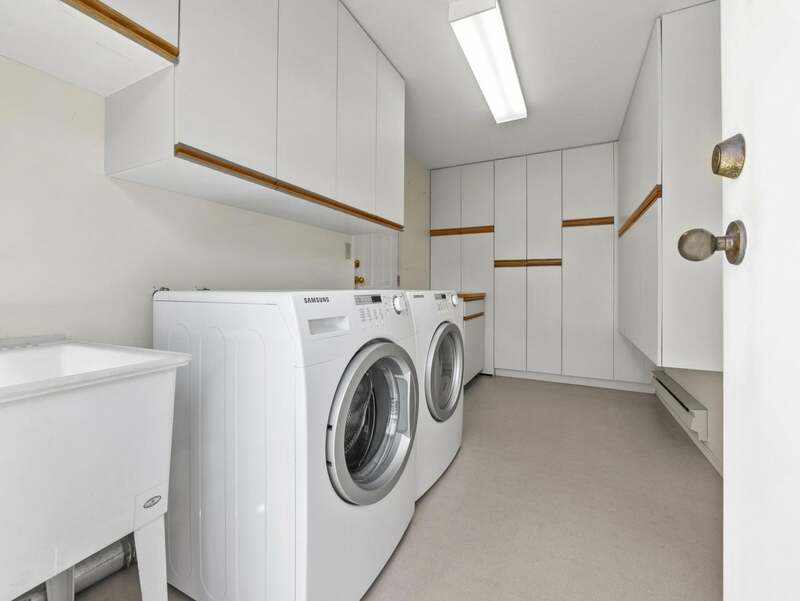 Simple upgrades like paint and new appliances would transform a solid property into a dream home! Quick possession is available so hurry and book a showing with your REALTOR today! Floor Area 1,830 Sq. Ft. Lot Size 10542 Sq. Ft. 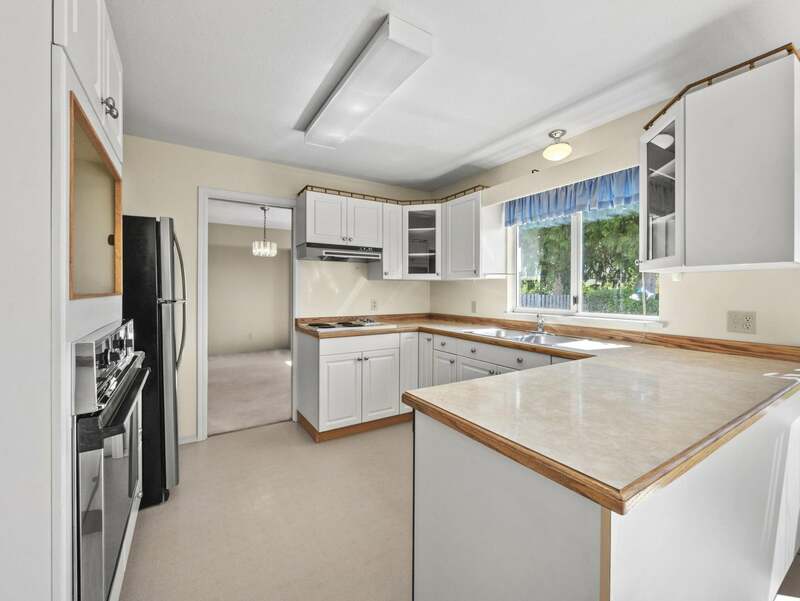 Please send me more information on 1561 Islandview Drive, Sunshine Coast. Thank you.